Angela is highly focused, committed Healthcare leader with 23+ years’ experience spearheading complex healthcare initiatives for several highly prestigious organizations and academic institutions. Uniquely qualified having broad industry experience from the clinical, payer and hospital sides of healthcare services. Innovative thinker producing thorough, accurate deliverable s utilizing project management methodologies that achieve statistical significance via standardized techniques and tools. Importance placed on remaining on the front lines of healthcare by diligently seeking out professional development and knowledge of real time, current healthcare initiatives and current issues to provide value for clients. Proven ability to develop and implement comprehensive processes that drive business operations that are non-disruptive to physician workflows through optimizing EHR workflows to be more intuitive for physician’s clinical documentation. Recognized by clients to be adept at communication management, ability to form strategic partnerships, and effectively build key partner relationships. Demonstrated management skills that enhance productivity and drive sustained organizational performance. 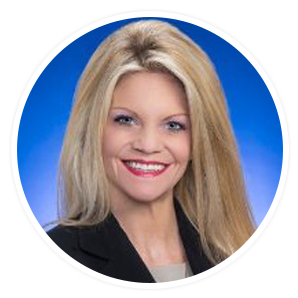 Angela has held several senior leadership position and VP of Risk adjustment and Coding operations with many prominent organizations including Miramed Global Services, Access Health Care and many others. Angela Co-Authored of a book entitled Coding and Documentation Compliance for the ICD and DSM: A Comprehensive Guide for Clinicians. She also conducted numerous webinars on ICD-10 for training providers, developed an Executive Level Series on ICD-10 Awareness, Training, Risk mitigation and subsequent contingency planning for Go-Live, Built a database of physician documentation requirements (Proprietary content owner) over a period of 8 years used for auditing inpatient and outpatient medical records prior to Go-Live on ICD-10-CM/PCS and continues post-implementation, Partnered with technology vendors to upload database into her auditing software, creating enormous increases in productivity and accuracy of the audits.